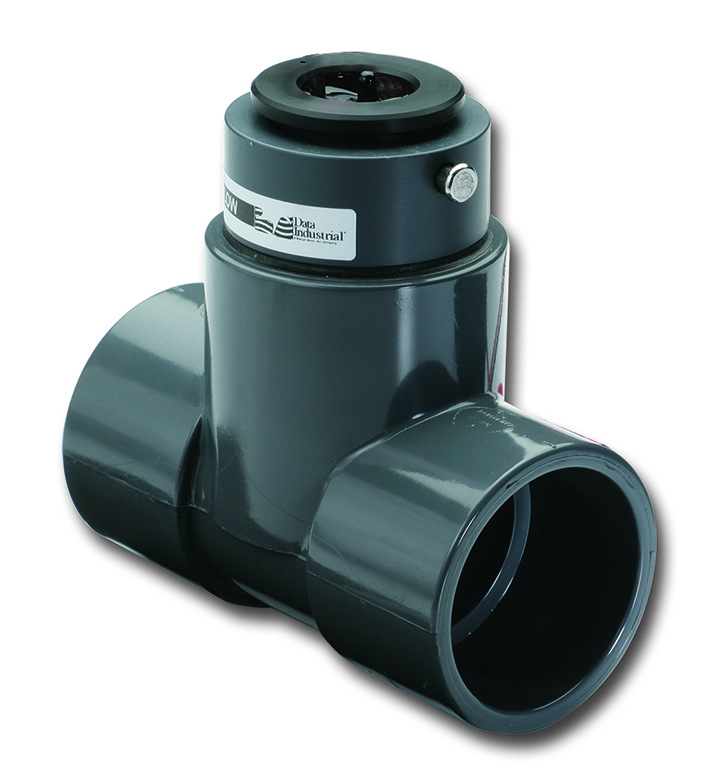 The PVC Tee industrial flow sensor features a six-bladed impeller design with a proprietary, non-magnetic sensing mechanism. The forward swept impeller shape provides higher, more constant torque than four-bladed impeller designs and is less prone to be fouled by water borne debris. The forward curved shape coupled with the absence of magnetic drag provides improved operation and repeatability, even at lower rates. This is more important where the impeller may be exposed to metallic or rust particles found in steel or iron pipes.